Dhaka, 20 Nov, Abnews: Many people believe that eating eggs may be bad for your health. Here are some excellent reasons to justify why eating eggs can make you healthier, brainier, leaner and stronger. Eggs have a high satiety index, meaning they make you feel full for longer. One large egg supplies 6g of high quality protein and a large variety of essential nutrients, with the exception of vitamin C. This is why teaming up a fruit or orange juice with an egg and whole-wheat/low GI bread provides the perfect breakfast to perform well in a challenging environment. Many people with mild iron deficiency experience vague symptoms of tiredness, headaches and irritability. Iron is the carrier of oxygen in the blood and plays an important role in immunity, energy metabolism and many other functions in the body. 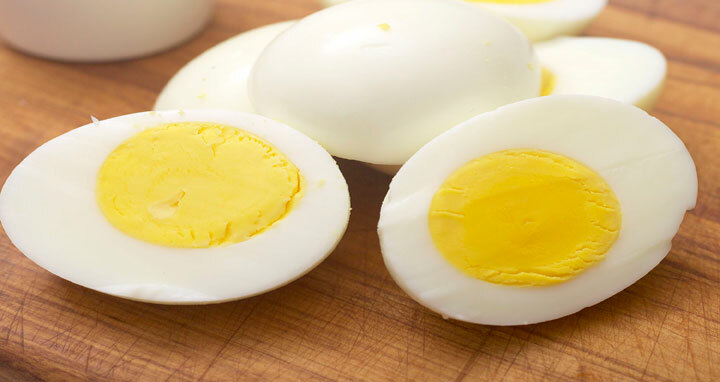 The iron in egg yolk is in the form of heme iron, the most readily absorbable and usable form of iron in food and more absorbable than the form of iron in most supplements. The nutrient density of eggs makes them a valuable contributor to a nutritious diet. A study among egg vs. non-egg consumers revealed that the diets of the non-egg consumers were more likely to fall short of vitamins A, E and B12. Eggs contributed 10-20% of folate and 20-30% of vitamins A, E and B12 among egg consumers. This study demonstrates the important role one food can play in ensuring nutrient adequacy. In the 1990s, eggs received a lot of bad publicity due to their cholesterol content of 210mg per egg yolk. Numerous studies have clearly demonstrated the lack of a relationship between egg intake and coronary heart disease. To put things into perspective, it is important to realise that foods high in fat, especially saturated and trans fatty acids have a far greater impact on heart health than cholesterol in food. Eggs should be recognised as an inexpensive, versatile and easily digestible source of protein. Eggs with toast have a 50% higher satiety index than regular breakfast cereals. Several studies have reported that starting the day with an egg breakfast increases satiety in overweight people and may help with weight loss. In one study where a breakfast of bagels, cream cheese and yoghurt were compared to a breakfast of two eggs, toast and jam (same amount of kilojoules), the latter group stayed fuller for longer and reduced their kilojoule intake at lunch by 29%. At 315kJ per large egg, eggs actually add few kilojoules for all the nutrients they provide. When teamed up with whole grains (for example whole-wheat bread) and fruit or vegetables they are a complete meal, readily available, easy to prepare and inexpensive, making them a useful tool in weight-loss programmes. Choline is a nutrient that facilitates brain development in the foetus and newborn as well as memory function even into old age. Eggs are an excellent dietary source of choline, and one egg per day will provide 28% of a pregnant woman’s choline requirement. Choline is of extreme importance during pregnancy and lactation when the reserves can be depleted. At the same time, it is the critical period for foetal brain development and lifelong memory enhancement. In experiments with rats, memory function in the aged rat was in part determined by what the mother ate. Mothers, the message is clear – make a lifelong investment and eat your eggs! A good dietary intake of eggs, spinach and broccoli is associated with a significant decrease in cataracts (up to a 20% decrease) and age-related lens and retinal degeneration, the leading cause of blindness in the elderly (up to a 40% decrease). Eggs are a good source of the antioxidants lutein and zeaxanthine, which play an important role in keeping the eyes healthy. It accumulates in the eye where these nutrients protect against some types of harmful, high-energy wavelengths of light. Getting enough lutein and zeaxanthine is therefore very important from childhood onwards throughout the life cycle. Protein is one of the most important elements of our diet. Our bodies use protein to build new and repair old tissue. Eggs are champions at providing high quality protein. Amino acids are the building blocks of protein. Nine of these amino acids cannot be manufactured by the body and must be derived from the diet. A complete protein food contains enough of these nine essential amino acids to promote growth and maintain body tissue. Egg, milk and meat (including poultry and fish) proteins are all complete proteins, but egg protein is of the highest quality, with a rating of 100. Compared to eggs, milk is rated at 93 and fish and beef at 75. One egg has approximately the same protein content as 30g cooked meat, fish or poultry. And apart from being the most versatile and best source of protein in our diet, it is also the least expensive.